The photographs within this collection have been very kindly supplied by Derek Law who joined HMS Ausoniaas a stoker in September 1960. 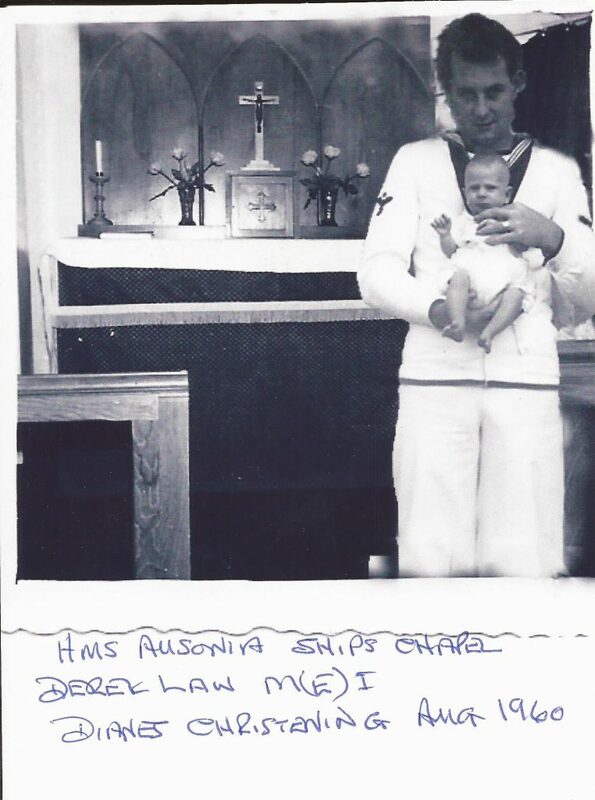 Derek went to Malta at the age of 17 when he joined the 6thMinesweeper squadron in Sliema Creek and then18 months later, then aged 21 he jumped at the chance to join HMS Ausoniaon a married accompanied draft. He remembers his time in Malta fondly, mainly because his wife was with him there, but also because serving aboard the Ausoniameant that there was very little sea time as she rarely left the harbour, (being a stoker all ships meant sea time). As he was on married accompanied, it meant that he was an RA (rationed ashore) and so at the end of days’ work, he would go ashore unless he was on duty that night, and usually he could get an un-married man to swop his duty, (when they went to another port he would do his duty in return). 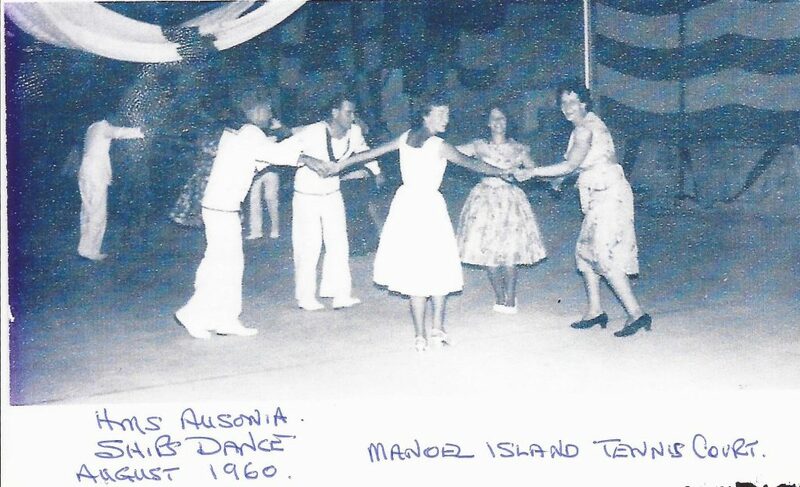 In June 1960, their daughter was born in the Military Hospital at Mtarfa and in the October, she was christened aboard the Ausonia, (in the ships bell as was the custom). 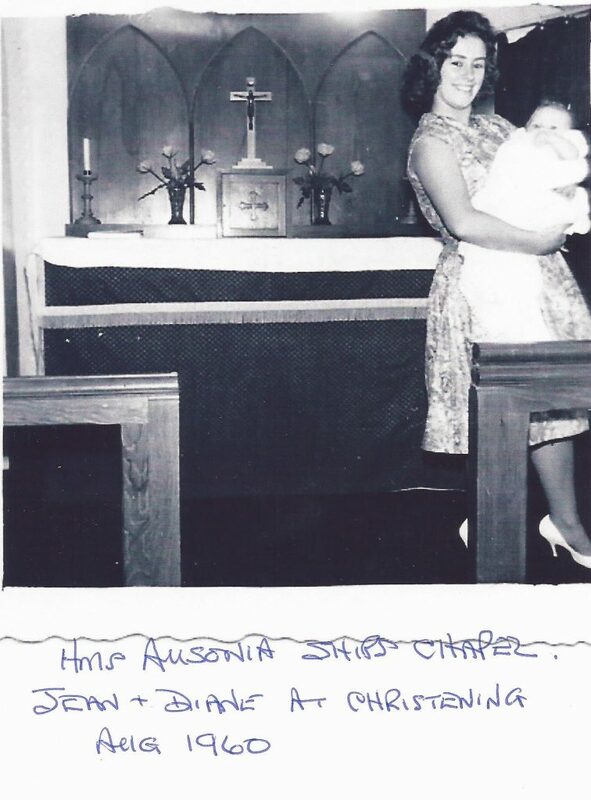 Two of the following photographs were taken in the Ausonia’schapel during their daughters christening. 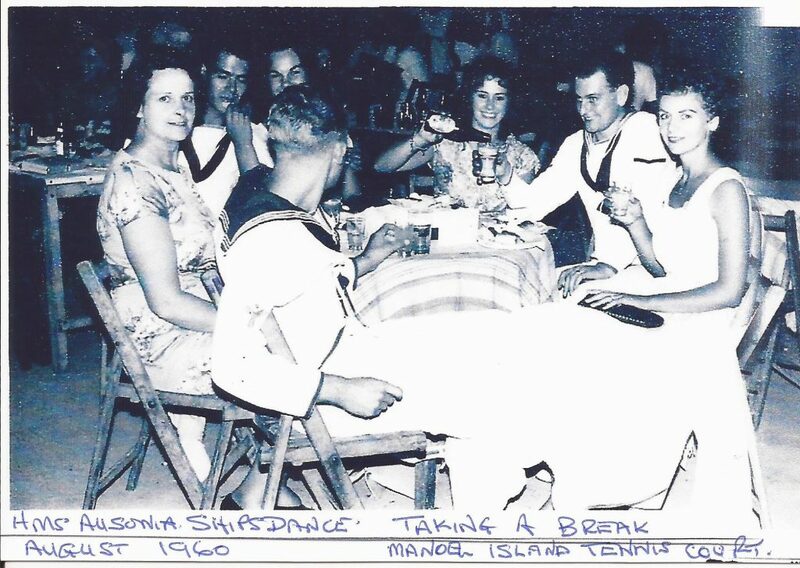 The other photographs are of the ships dance, held in the summer of 1960, with crew in their best whites, Derek remembers that come the summer, there was always stiff competition to see who could put on the best ships ball, much to the ships companies delight and benefit. He also remembers the small island called Manoel Island in Malta and Sliema Creek, in which HMS Woodbridge Haven, a converted WW2 frigate repair ship was berthed now used to repair minesweepers (one of which was Derek’s first ship). In the next creek, Lazzaratto Creek was HMS Ausonia, used to repair frigates and destroyers and then in Gzira creek was HMS Forth, which looked after submarines. 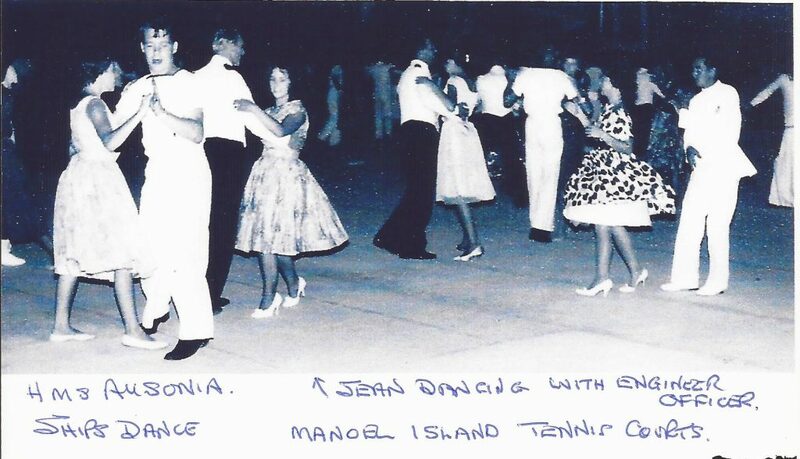 While Manoel Island was owned by the RN, there were tennis courts, football, rugby and cricket pitches and buildings which did all the admin for the families, health, dental, payments, etc. Derek got his auxiliary watch keepers certificate and then passed fleet board for Leading Hand and then, along with a number of others, he left the Ausoniaand joined the crew of a guided missile trials ship, which was a very different life to the one aboard Ausoniain that the ship was always at sea, early Monday morning till late on Friday afternoon, not much of a life for married men with young children. 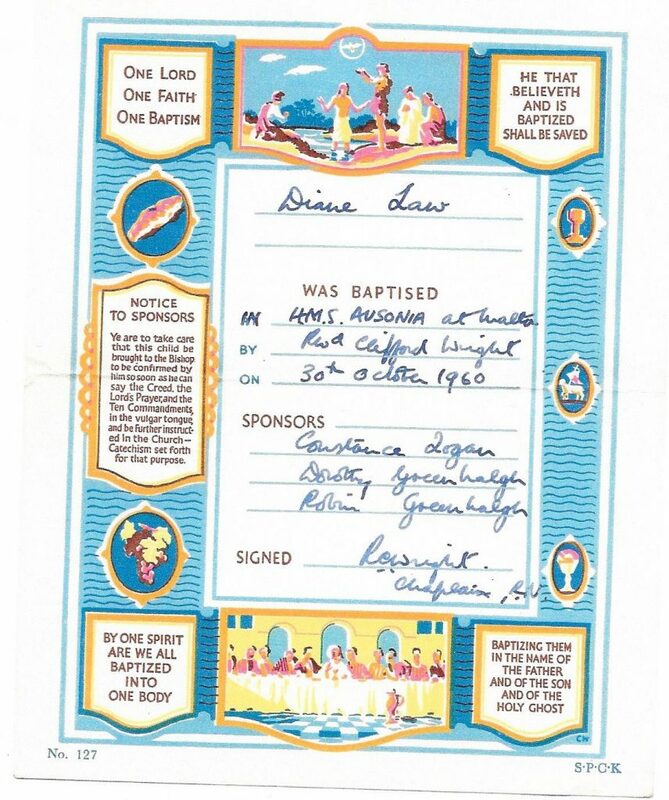 Derek remembers his time in the Ausonia with fondness and recalls that alas, along with so many others she is long gone. From his time in the Royal Navy (1955 to 1965), only one still remains. Derek had the pleasure to serve aboard HMS Belfaston her final commission from July 1962 until October 1963, just prior to her going into mothballs, and then getting her reprieve and being preserved as a floating museum ship.